Cabro Aviation Ltd are the Scottish Affiliate of the NQE - Commercial Drone Training Education Ltd (T/A Commercial Drone Training). We organise and manage the CAA's Permission for Commercial Operation (PfCO) training in Aberdeen. The CAA definition of a commercial activity can be found here. Courses last 3 days and cover theory, Ops Manual development and flight training (including night operations) with the required tests as part of the process. 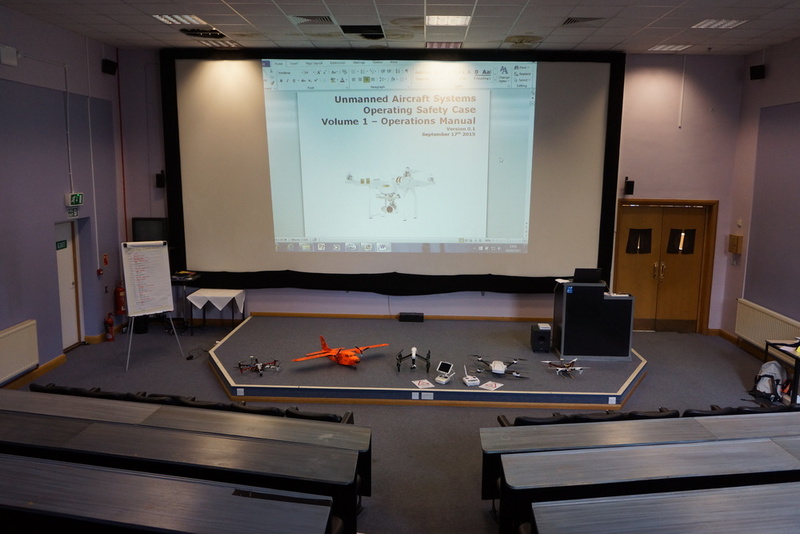 In addition to the standard PfCO Syllabus, we present awareness training on flying in Aberdeen International Airport airspace, Flying from Aberdeen City Council owned recreational areas and operating UAVs offshore using the Oil & Gas UK guidance on Unmanned Aerial Systems. We can also undertake one to one training which allows a flexible approach to gaining your PfCO without the need to wait for scheduled course dates. This type of arrangement is ideal for those working on offshore rotas or finding it difficult to get time off normal work. With over 30 years Offshore experience, Cabro Aviation can support and develop Duty Holder / ISC contractor personnel with multiskilling by adding a UAV competency to the installation's core crew. We have already done this for North Sea Operators/Duty holders resulting in a huge saving in OPEX costs. Using the AscTec Falcon 8 and several professional DJI UAVS, we target the offshore training to suit your technical needs. We can also train Offshore UAV team observers to gain their Civil Aviation Authority Radio Operator Certificate of Competence for Offshore Communication Services (ROCC-OCS) which enables the team to communicate on the licenced installation aeronautical frequency. If you are struggling to find somewhere to fly your drone or simply require the practise, for a small fee we can arrange a facility where you can fly your drone in a controlled enviroment. If you have just bought a drone, we can offer an introductory overview on how to set it up and fly it safely. We can also train PfCO holders for more advanced flying allowing more specialist tasks to be undertaken. We can assist with preparing your Ops Manual and CAA paperwork for your annual PfCO renewal. We assist a number of companies in doing this every year! Are you flying your drone safely?